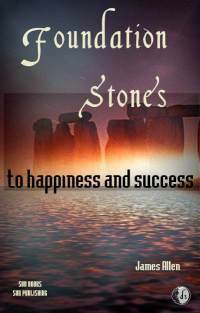 FOUNDATION STONES TO HAPPINESS AND SUCCESS by James Allen Right Principles, Sound Methods, True Actions, True Speech, Equal Mindedness, Good Results. 53 pgs. 5x8. Pbk. ISBN: 0-89540-327-7. $7.50.